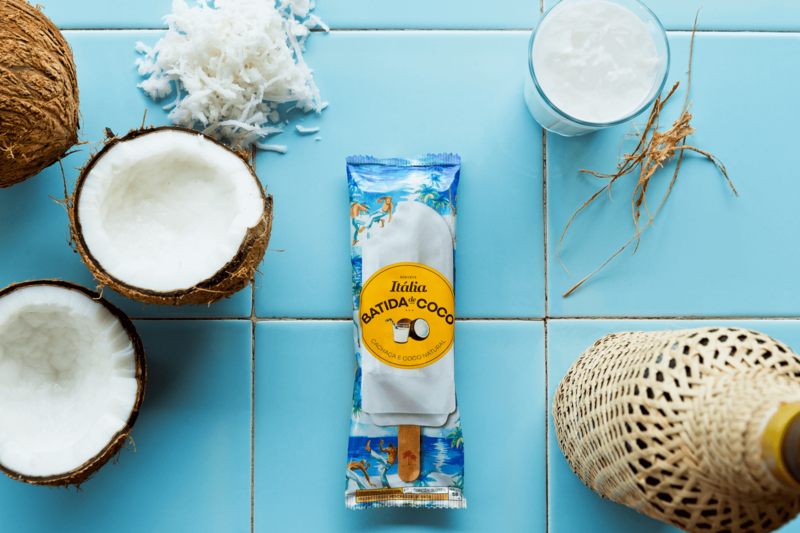 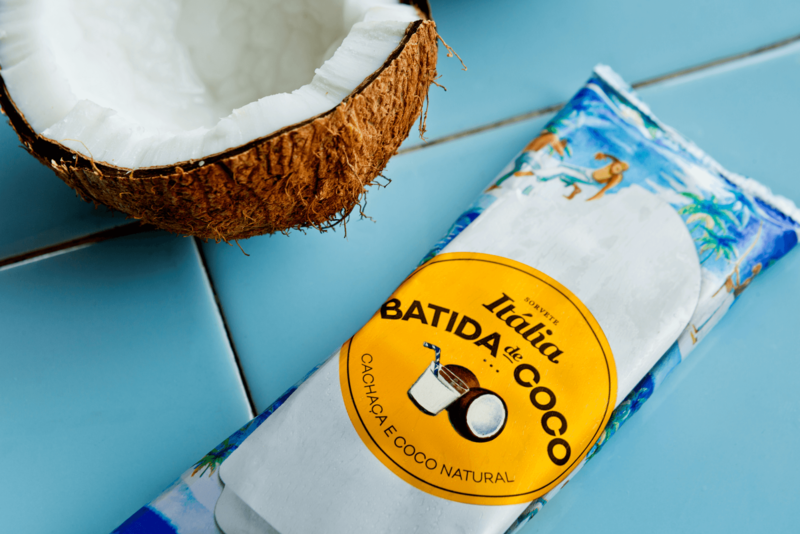 Itália is a Brazilian ice cream brand that has launched a new line of alcoholic ice creams: Caipirinha and Batida de Coco. 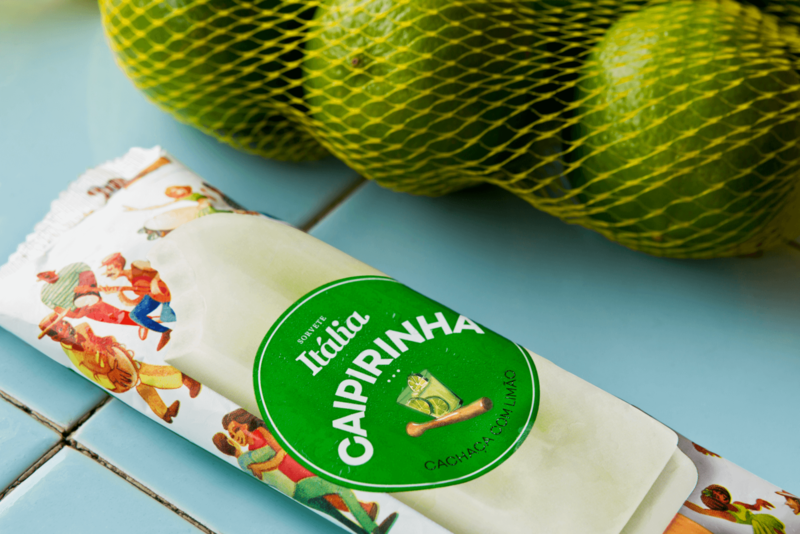 Caipirinha is a Brazilian drink that was made into an ice cream bar. 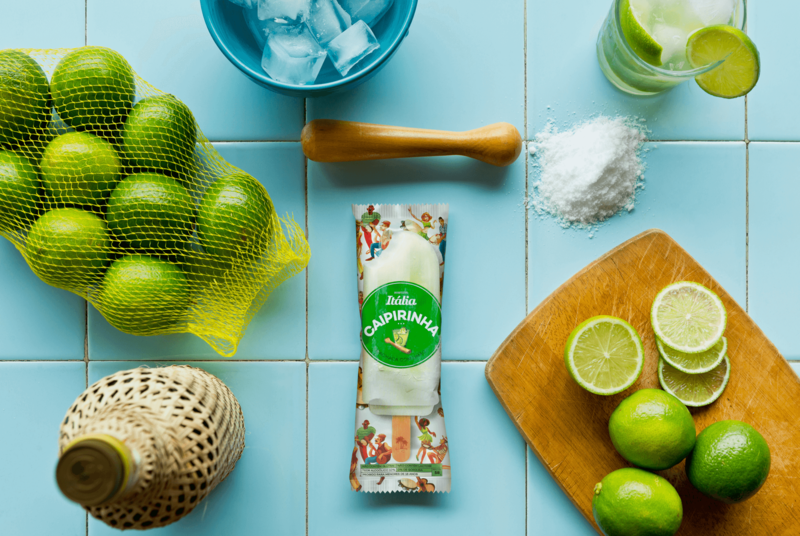 The idea to promote this product is a party mood, creating an association of the drink with fun moments, Samba and Carnival. 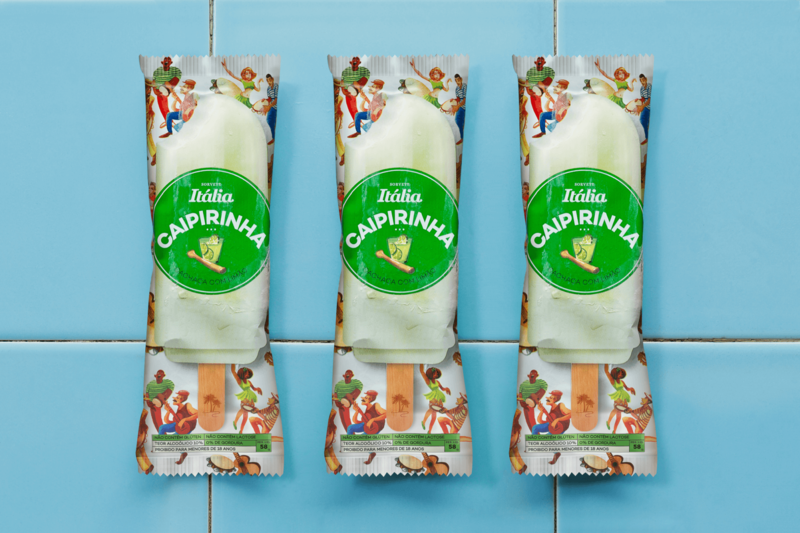 Studio Fernanda Schmidt made a deep visual research into the samba environment, bringing both contemporary elements and traditional elements found in paintings and illustrations form the fifties and sixties Carnival in Rio. 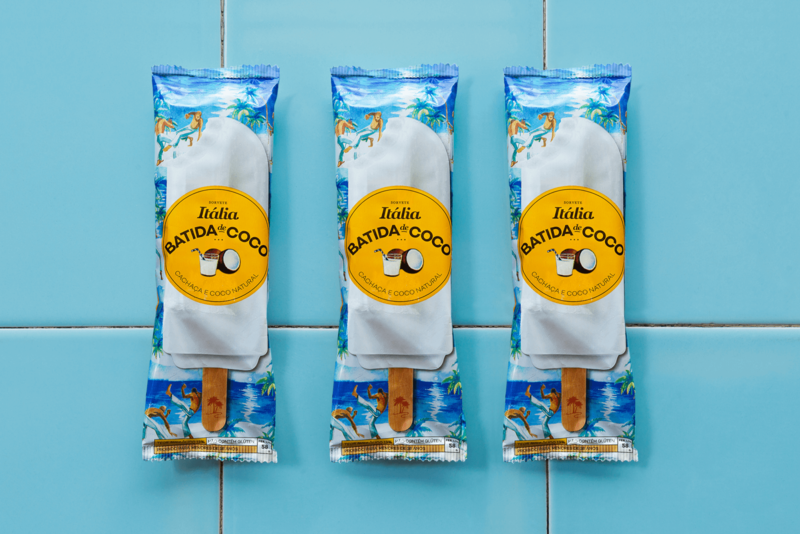 Famous dancers movements were analysed to bring grace and rhythm to the illustrations, typical samba gestures were depicted by the watercolour illustrations while warm colors were applied to highlight the sensuous feeling of a samba party. 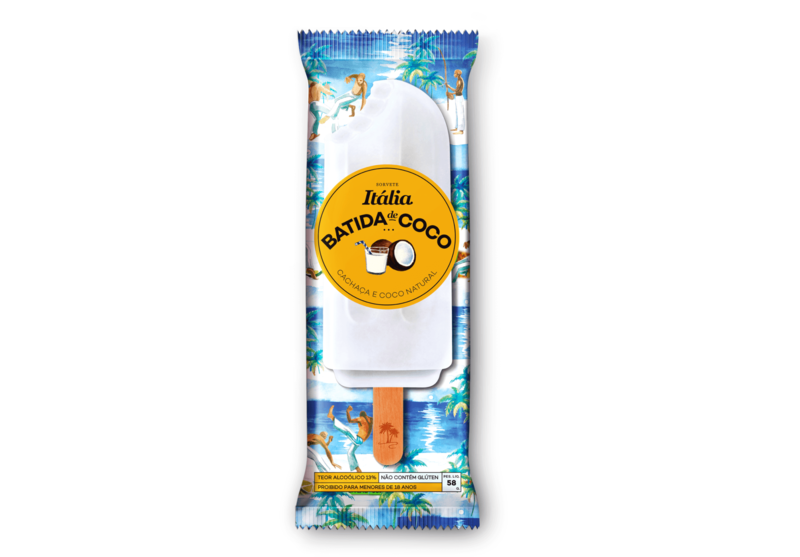 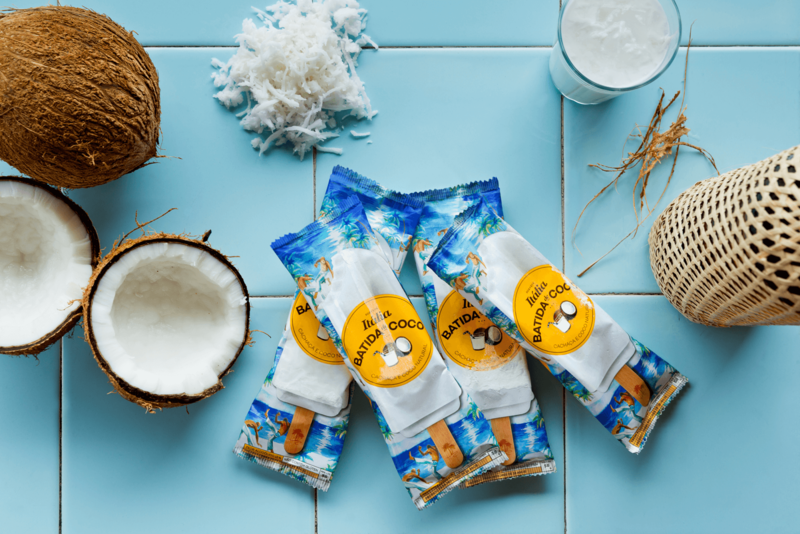 The inspiration for the Coconut Cocktail packaging is taken from Brazilian folk dance called Capoeira, which is widely played in the North areas of Brazil, where the Coconut Cocktail is very popular. 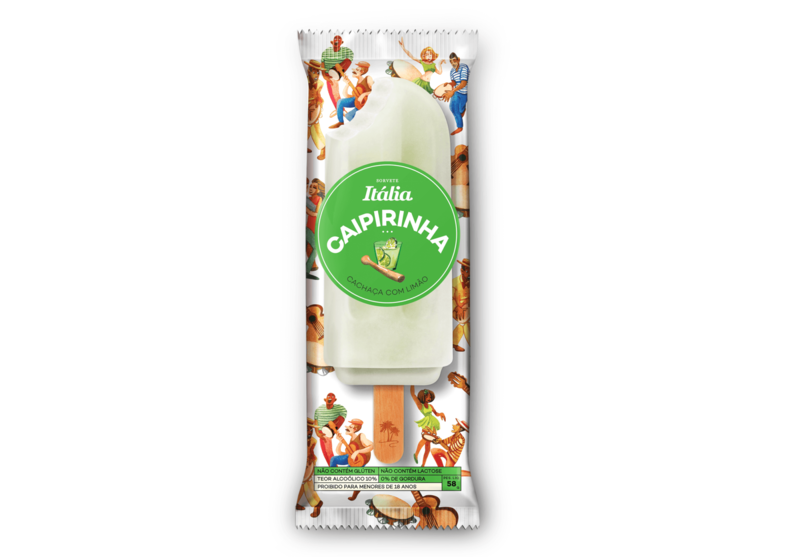 Watercolor illustrations of guys playing Capoeira are used for the background of the ice cream bar, the fluid trace of watercolour helps connecting the consumer with the warm tropical night scene.